News of another mega-scandal broke last week reveling again the corrupt nature of the global system of money and banking. In the video below, former New York State Governor and Attorney General, Eliot Spitzer discusses the LIBOR scandal with investigative reporter Matt Taibbi. According to Wikipedia, LIBOR stands for “The London Interbank Offered Rate.” It is “the average interest rate estimated by leading banks in London that they would be charged if borrowing from other banks.” The LIBOR has wide ranging effects on the rates that ordinary people must pay on various types of loans. Falsification of LIBOR results in higher costs for everyone and illicit profits for big banks. E. C. Riegel had an answer to the money problem, which he summarized in the following brief essay. The word valun is one he coined, which stands for “value unit,” and he pronounced val-yoon. My own work has been greatly influenced by Riegel, and my prescriptions for a decentralized, locally controlled network of interest-free credit clearing exchanges draws from and extends Riegel’s proposals (See my book The End of Money and the Future of Civilization). I am the valun, the universal money unit. My mission is to unite all men on the economic plane, regardless of their political differences, and to enable them to govern government. I bring to trade a common language and thus make commerce homogeneous. I liberate the artisan and the trader from political money control and thus defeat authoritarianism. I deny to government the power to finance war without the people’s direct and conscious financial support and thus fortify their will to peace. I facilitate trade, induce technological improvement, increase wealth and leisure. 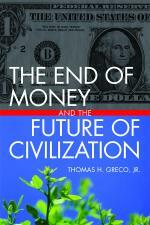 I conserve the profit motive in the production of wealth but deny it in the creation of money. I am the creature and servant of every man who would render service useful to his fellows. From his pen I spring, but by the monetary exploiter or the state I cannot be generated. I am homogeneous because I am homo-generated. I guarantee to everyman freedom to labor and the full rewards thereof with preservation of his right to freely choose his vocation and with full respect for the dignity of his personality. I am the implement of freedom, prosperity and peace to all men throughout the world. I am the surprise weapon against the enemies of private enterprise and human rights — the friend of the individualist, the foe of collectivist. This entry was posted in Emerging paradigm, Prescriptions, The Political Money System and tagged Eliot Spitzer, LIBOR, london interbank offered rate, Matt Taibbi, Riegel. Bookmark the permalink.